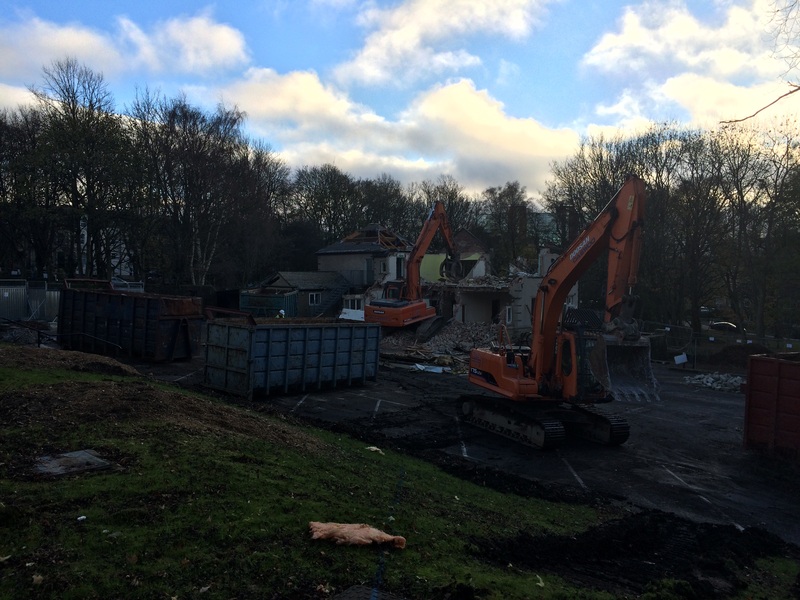 Demolition work has started onsite this week and we are working in partnership with RGS demolition, a Yorkshire-based company, committed to recycling and wherever possible reclaiming materials for re-use. The demolition work will continue in stages over the next few weeks. Brandreth House, originally build it the 1950’s and largely used as office space is the first of the existing buildings to be demolished. To help limit the environmental impact of our works onsite, much of the slate, stone and timber from the building has been carefully removed and will go on to be recycled. If you have any questions or concerns about the planned demolition works please leave a comment or contact our project manager Julian. The launch of our ‘experience construction’ partnership with Harrogate College will give students the opportunity to get involved in the many aspects of the construction of Harrogate Borough Council’s iconic new civic headquarters. As an important building in the district, t hey will experience first-hand what goes into the building process on a project of this scale. We will be working closely with the college’s Brickwork and Joinery students to offer work experience opportunities onsite, as well as with students from across the college who are studying subjects such as artwork, business and photography. We will also be arranging visits and inductions at the site for apprentices. These will be co-ordinated through Harrogate College HCUK Training. As a company it is a priority for us to ensure that young people understand the possibilities that a career in construction presents. By involving students in this flagship project, we will be able to help bridge skills gaps and provide training that will enable students to see the range of exciting career opportunities available to them. Watch this space for updates on what the students will get up to during their time on-site with Julian and the rest of our site team. It is a very important element of the project that we maintain as many mature trees as possible. 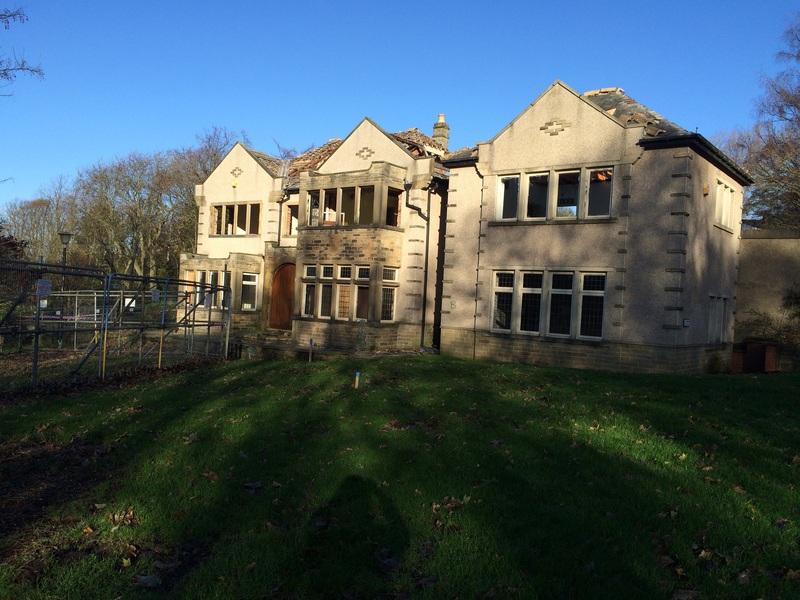 Tree protection measures are being erected this week and we have been working closely with local company Harrogate Scaffolding to ensure that all the trees on site are sufficiently secure from all demolition and ongoing construction works. If you are interested in more information about tree protection measures in Harrogate, please visit the Harrogate Borough Council website. 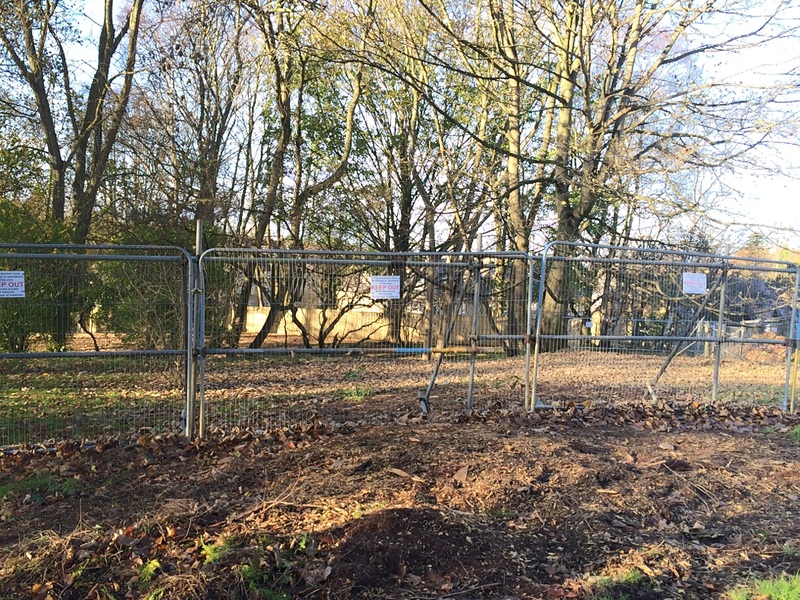 We understand that before we began work on-site and erected safety fencing at Knapping Mount, it was a popular ‘cut-through’ for local dog walkers/residents. We are sorry if your daily routine has been disturbed and we would like to assure you that when the building work is completed in Spring 2017, the routes will be re-opened to the public. All construction sites must take account of Health and Safety legislation. The law says that business on construction sites must be conducted without putting members of the public at risk. This includes the general public and any workers who may be affected by the work taking place on the site. Where an area is cordoned off steps have to be taken to exclude unauthorised people – especially vulnerable people – from the site. Safety is, and must remain, our priority during our time on the project. 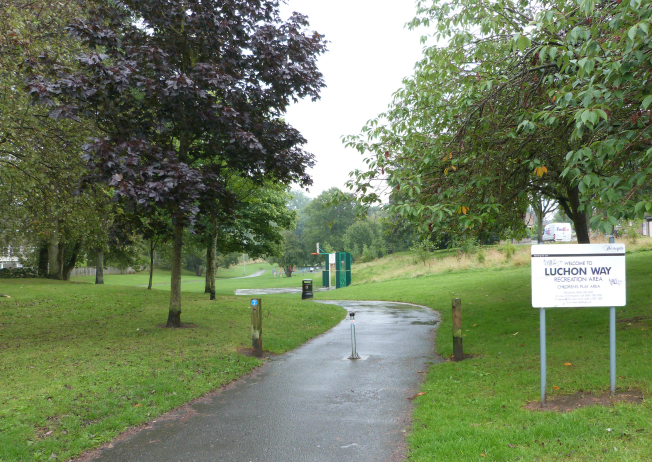 There is still an accessible route around the site from Portland Crescent, which may provide a solution for some, linking the path at the rear of the site which leads to the Luchon Way Play Area, Osborne Gardens, Osborne Close and St Luke’s Close. 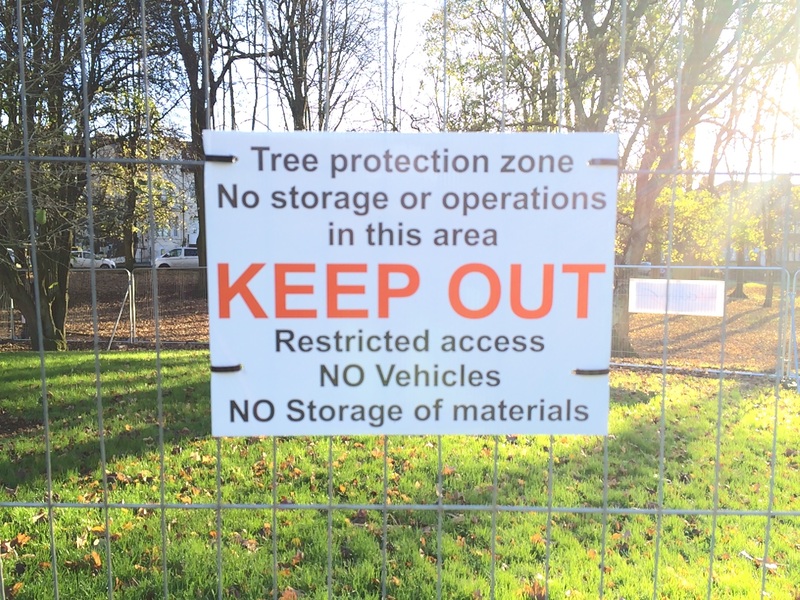 The section of woodland at the front of the site, which has not been fenced off will also remain accessible for residents to enjoy during the duration of the project.